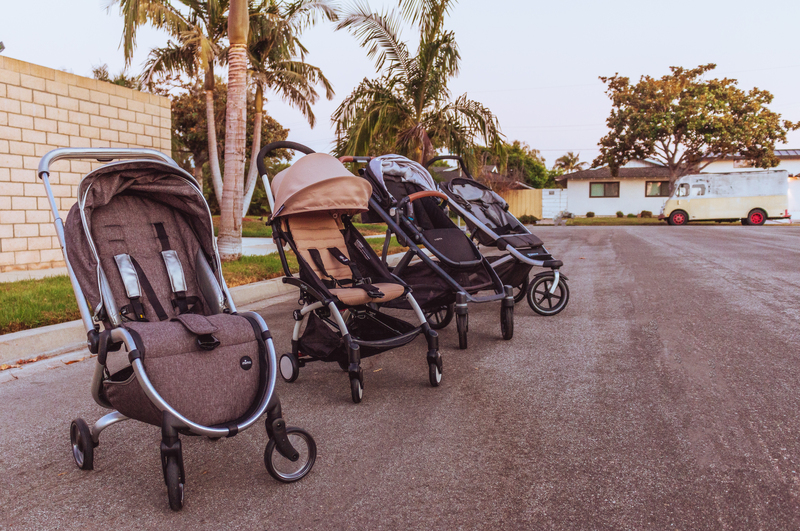 One of the “baby gear” questions I’m asked the most is about strollers… which strollers we have and which ones we like. 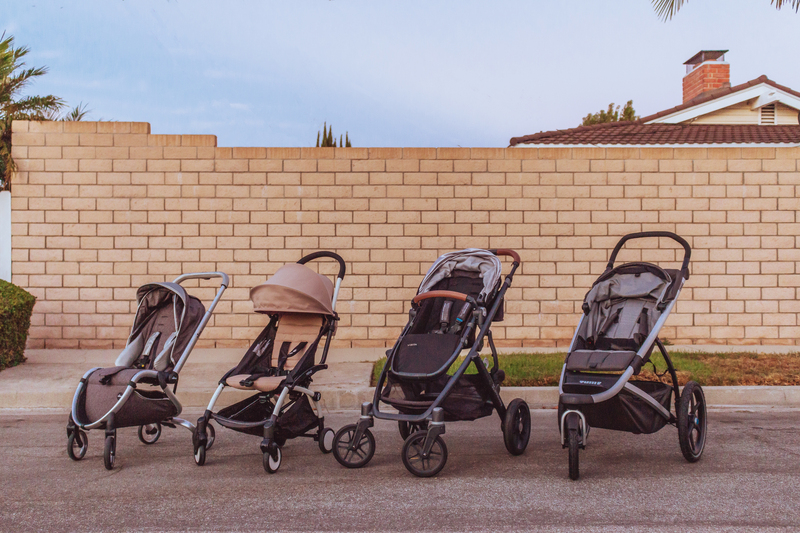 We’re lucky enough to have 4 strollers. It may seem like a lot, but I swear they all serve a different purpose. Today I want to do a review of the 4 we have. This by far is our most used/most practical stroller. We have been using it since Crosby was born and have been so happy with it. It comes with a bassinet and toddler seat, plus we went with the UPPAbaby Mesa car seat and used that on it a ton when Crosby was younger. I love how easy to use it is… I’ve never had any problems setting it up or breaking it down and the seats all snap in so easily. My favorite part is probably the extra storage below… when I’m out shopping I can store my diaper bag and shopping bags down there. It’s something I definitely miss when I’m not using this stroller. 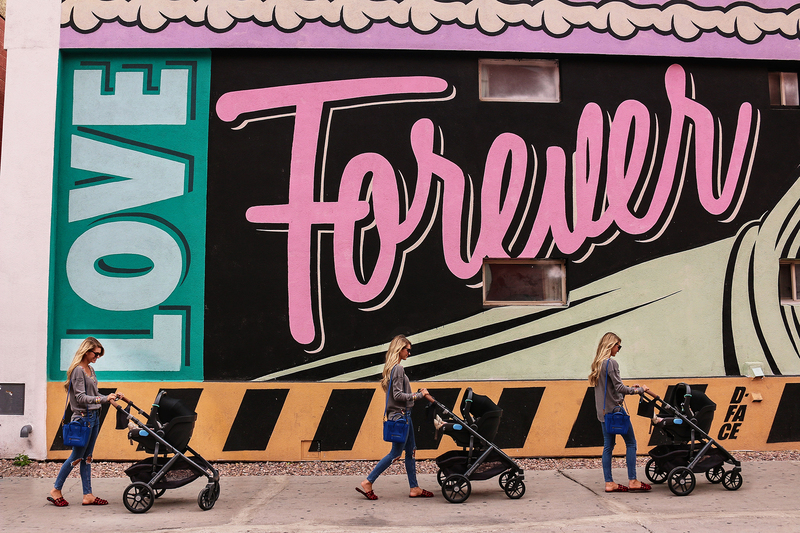 We are not really a jogging family but thought this stroller would be practical for walks/trips places where you might need bigger wheels. We actually brought this stroller with us to Disneyland last year and it was perfect for an outing like that. The seat reclines so the child can lay down… which would be great if you were on a long run or hike. There was actually a two week period in May when we decided to take up jogging in our neighborhood and really got to break this stroller in. Again, we’re not runners but I still love this stroller. 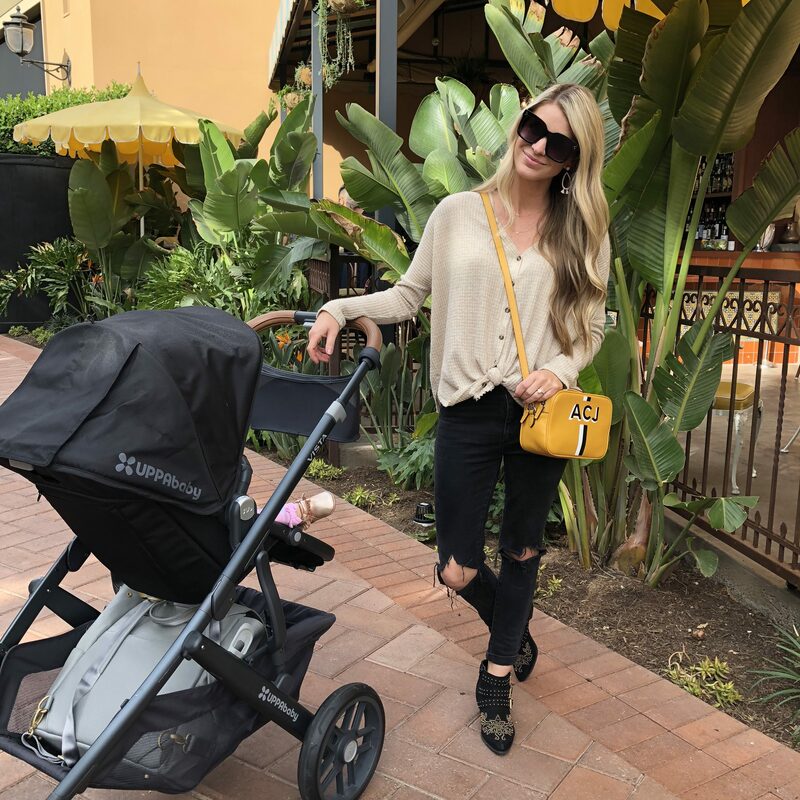 This was the first compact stroller we got and have been very happy with it. I take it on neighborhood walks and on short errands and it usually lives in one of our cars in case we need a stroller. It’s small and collapses easily and also has a nice canopy to keep the sun out of kid’s faces. It also reclines quite a bit and has a small amount of storage below. This is another really compact stroller. When it arrived at my house I was amazed with how light weight it was. It collapses really small and is said to be able to fit in most airline overhead compartments… excellent for travel. I also love that it has a zipper pouch on the back, if I’m on a walk I’ll put my keys, water bottle, etc in it.